As you maybe know I was a few weeks ago on a short vacation in Mallorca. And I still found this photo on my phone so of course I needed to share it in the sneak peek! 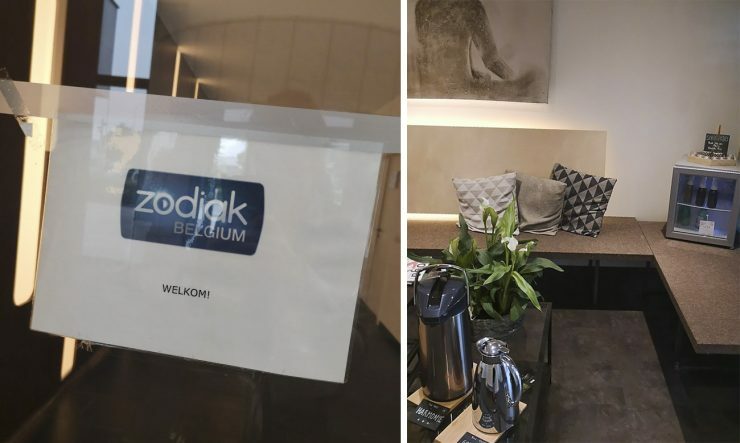 The day we arrived back in Belgium I got an email from zodiak. They were looking for someone to play a small part in a series the next day in the morning. I thought, oh yes why not? It was a heavy morning especially after such a vacation, but it was for sure worth it! I also visited a beautiful yoga studio. Each year I’m trying to go to the sinksenfoor in Antwerp. I really love the atmosphere there, the food, the fun,… Yes, this is an activity that I’m doing each year! And my boyfriend and I couldn’t resist to play with the ‘money’. We had lots and lots of them, only the points was a disappointment. But good, we had so much fun! After a busy day, I love to watch a good series with some ice cream. This is the vegan ben & jerry’s brownie fudge and it’s way to good! Because the weather was so good, I found it a good idea to blog outside. And in the evening I eat some more fresh fruit from the garden. We also have a special strawberry kind namely pineberries, and these are so good! For my neighbors I regularly take packages when there not home. I don’t mind this, because I also would love it when they do that for me! 🙂 But recently I received a very heavy packages and when they came to pick it up I received a little gift. So sweet, especially because the cactus is with pink and the scents candle smells so good! I shortly visited my mum and in the afternoon we had lunch. And they have there a way to good home made ice tea with fresh fruit in, mmm it is so good! Saturday I had a photoshoot with a horse. The theme was something Injun. So I searched for the perfect outfits in my closet. It was a cool shoot and I love horses, so soon I will share some photos on my instagram! This week I’ve got an excited week… Because I’m going to tomorrowland! Yaay, I’m so curios! And do you have special plans for this week?